Looks like a bonafide mistake of commission for me. Before I discuss further, let me disclose upfront that I have reduced my allocation to less than 10% for Prabhat and intend to reduce it further to around 5%. Sold off around 80 at 20% loss to average buying price. Will continue to hold and track it as a special situation (explained below). Though I had considered the company being acquired as a distinct possibility, I had expected that it would be close to FY20 and had not done proper work on how market would react to it. Also had not done my homework on the company holding structure and if that could cause some ambiguities. 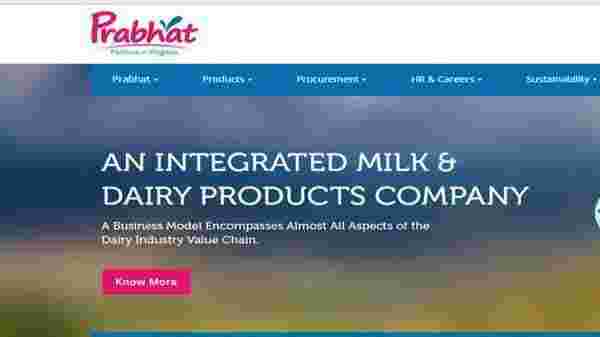 Will the shareholders of Prabhat Dairy benefit from sale of its core business. 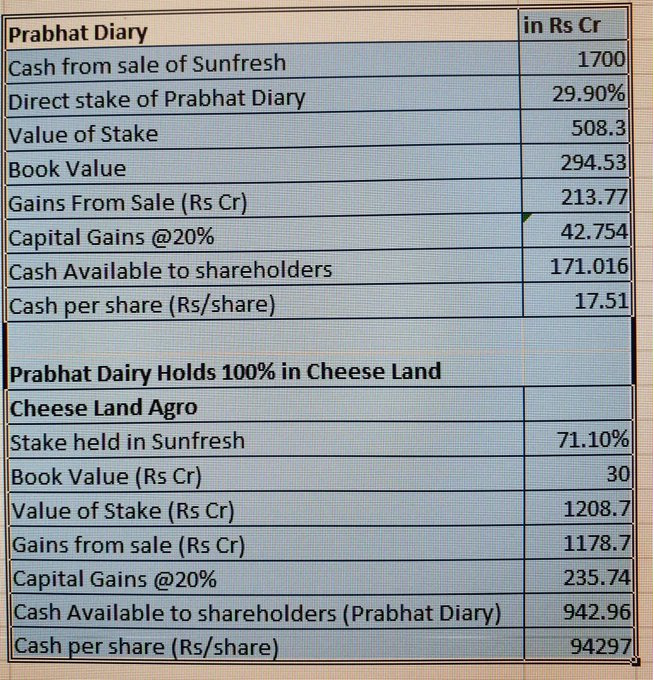 Prabhat Diary holds direct stake of 29.1% in Sunfresh rest held via Cheese Agro. Lot of Institutional Holding. One of them have sold of 16 lakh shares (ALQUITY SICAV INDIAN SUBCONTINENT FUND) yesterday. Guess they preferred to bailout rather than go through another LEEL, which I think is fair enough. Considering there is still plenty of Institutional shareholding left, one wonders if they are willing to stick around for shareholder’s approval vote? Recency Bias of LEEL. I don’t think I have come across any negative coverage on Nirmal Family and Prabhat’s governance prior to yesterday. Yes, the structure of the deal is debatable. However does it warrant an expectation of high probability of it turning out to be same as LEEL? I am not so sure given the fact the mgmt wants to focus on new business beyond this acquisition. I had bought it with a 2 year holding period that could potentially be carried forward assuming mgmt met their guidance. However, on introspection and what should have been evident immediately was that it became a special situation as soon as the facts changed (naive on my part to wait for things to settle down). If one views it as a special situation then the immediate thought should have been about the allocation which is where I missed another trick in selling off earlier yesterday rather than wait till today. Last but not the least, I still am not sold on the idea that the mgmt is dishonest and will do the max to avoid sharing the cash. Anyways will remain as a reminder to do more thorough work on acquisition scenarios. This reminds me of why it is good to start this thread. It helps me to commit to put down my mistakes and leanings from them, rather than having locked them away deep in a mind castle. I expect I can learn more from this experience over time and can revisit or add any additional learnings which escape me currently. The trick or the lesson i personally learned is, if one is having concentrated PF and high allocation, then sell first or get out at slight hint of doubt/discomfort, price does not matter just sell instantly, as the story/thesis changed and analyse later on side lines. If the thesis still hold good can be entered later. Mostly it will save lot of permanent damage to the PF. Another recent example : GRUH changing hands. Any views on Balaji Amines, at current levels? Company posted another tough quarter, with lower margins last quarter was also poor. No change in my views. Levels are same as at the time of initial buy. Would re-evaluate at end of FY19. You can watch out for management commentary. I think they normally give an interview to one of the channels. Would be nice to see if BSCL through EDA has started contributing to revenues. I don’t think there was a question of doubt/discomfort. As I have stated above, when the investment rationale was affected by this announcement (facts had changed), I should have spent at least 10 mins to reflect on the allocation. I don’t think I would have sold it all as it would mean that I never trusted the management at all. Nonetheless the advise is worth pondering over. Below is an interesting blog post. Of the 1700 cr cash, expect about 350-400 cr to be paid off as taxes. 1300 cr is all cash as the LIABILITIES too are being taken over by Thirumala Dairy. 1300 cr is about 133 rs of cash per shar e. Assume 33 rs is given off as dividend, at the CMP of 60 your net investment price is about 30. For a 30 rupee investment you are getting 100 rs cash in a company , that was created by the same management that people willings bought at 230 rupees a share not too long ago. My observations of above is that, it is now a question of probabilities and base rates. How likely is that Prabhat ends up being a LEEL? What is the base rate for this kind of acquisition considering all past slump sales including LEEL? Continue to play it as a special situation limiting the exposure to at max of 5% in PF. If we think about it, why was the holding structure designed in that way in the first place? I would assume it was to get some sort of tax benefits (mega food park). Maybe the management did not expect that the holding structure would turn out to be a negative in case of a sale. They did announce the DLG animal nutrition deal with the intent to assuage any concerns about the future prospects a shareholder may have. Now the move to merge the subsidiary suggests that they really want to remove any ambiguities about cash being returned so that they can get the shareholder approval. This is important given the fact that promoter holding is around 50% with 40% of it pledged. Let us wait and see how it unfolds. Excellent podcast hosted by MysticWealth with dlife.in forum founders. If you or anyone near and dear have diabetes or other metabolic disorders such as hypertension, obesity, etc. this episode can be life changing. This will be definitely worth your time. 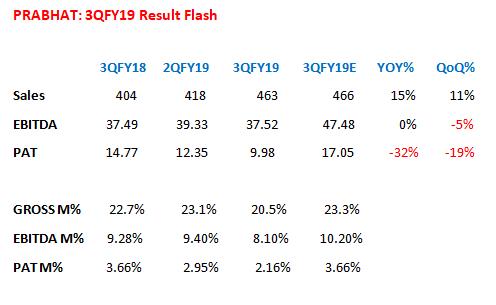 Prabhat Dairy results are out, net profit falls qoq as well as yoy. Slump sale to be closed by first quarter of next year. What is your expected future course of events. Could you guide me on how I can analyse this as a special situation. Interested in learning about special situations and seeking guidance for the same. I am no expert on special situations nor do I have experience of one prior to Prabhat. Above is my simplistic understanding of the various probabilities. Not done deep analysis of similar situations in the past. I have already low expectations. Have mentally written of the losses. Any positive outcome would be above expectation. Below is a link to Joel Greenblatt’s Special Situation Class notes. You can also read his book “You can be a stock market genius”. If I was the promoter of the company, I can clearly see that you will eventually sell the stock and the value will fall significantly. Hence makes no sense to give decent dividend. So LEEL like probability may be much much higher in my honest opinion. If we learn from the past, the person who exits early may be the winner if the outcome is going to be like LEEL. The company still has liquidity and is having a 500c valuation. But on the other hand, the credibility of the promoter is at stake. Even more so when they have tied-up with DLG. If they turn out to be not friendly to the minority shareholder, then it is not far-fetched for DLG to reconsider how they treat other stakeholders (DLG being one of them) in future. Like I said, I have reduced my allocation to <5% in PF and even that I have mentally written it off. I have a 30% allocation to a single stock, just like you, and this event shows that I need to quickly diversify or stay in cash. What was your rationale for choosing Prabhat over Parag Milk and Heritage? My choices were between Hatsun and Prabhat. I have been learning and tinkering a lot on healthy eating and intermittent fasting. My presentation on it https://t.co/SjPLVqQMY9. Thanks, @tapak7 @vishnu570 @GosaliaRishi @spranesh @saurabh_madaan and several others for educating me. Do spare some time to watch. Nice primer on Healthy eating. 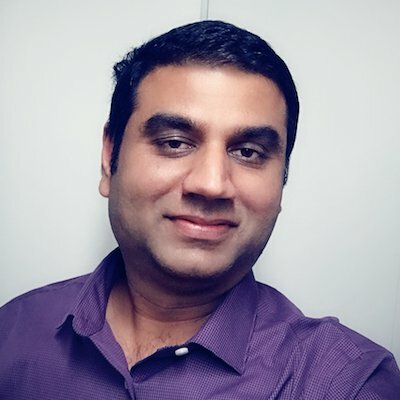 Thanks, Satish for giving the opportunity to share my experience in the BIG meetup. 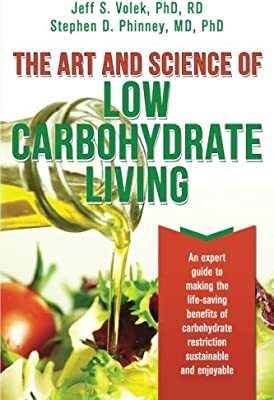 One stop shop for all the latest cutting edge research on LCHF right from the researchers themselves. You will not find a better resource than the below set of videos to get a Feynman level of understanding about nutrition and health. Virta is the first clinically-proven treatment to safely and sustainably reverse type 2 diabetes without medications or surgery.